OptiMine combines machine learning, automation and scale to deliver fully optimized and actionable marketing plans across all online & offline ads and conversion channels. OptiMine Intent allows brands to define and configure all their scenarios, goals and constraints to get detailed, optimized marketing budgets and forecasts to achieve their target. What is Agile Marketing Mix Modeling & Optimization? 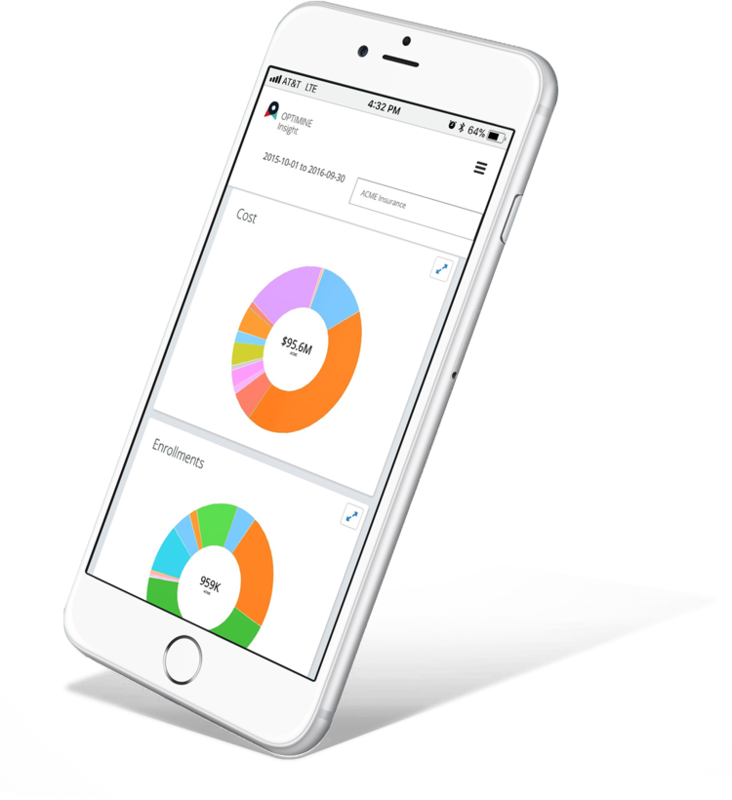 OptiMine's models and machine learning deliver detailed, actionable and optimized marketing budgets that your teams & agency partners can execute- in a fraction of the time. Showing the precise playbook to deliver the strongest marketing payback. 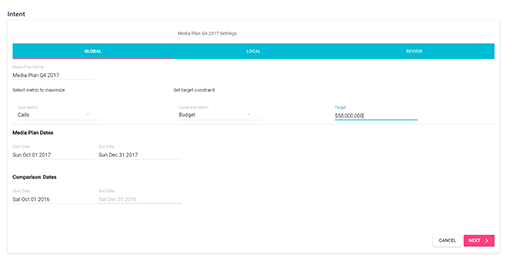 Fully optimized media plans at the most actionable levels - spend recommendations all of the way down to individual ad, spot, placement and campaign. 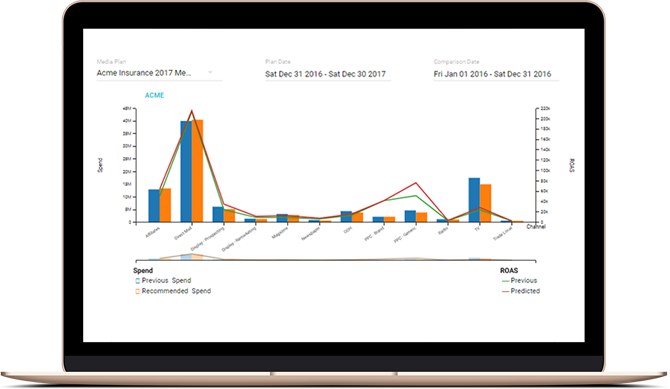 OptiMine Intent delivers highly optimized marketing budgets and plans using inputs from the entire marketing team- in a fraction of the time & effort. Detailed guidance, actionable recommendations, all in a fraction of the time yielding the highest marketing ROI. The OptiMine Intent platform uses machine learning, high scale cloud computing, and sophisticated algorithms to run hundreds of millions of scenarios to discover and deliver fully optimized media and marketing plans with the most detailed and actionable spend recommendations- all in a fraction of the time compared to other vendors. OptiMine automatically builds tens of thousands of models to measure the cross-channel contributions of all channels and ads. Digital and traditional ads- across any conversion point- online, in-store, call center, branch location, agent channels, channel partners and more. Next, marketing teams input their goals, constraints and objectives. 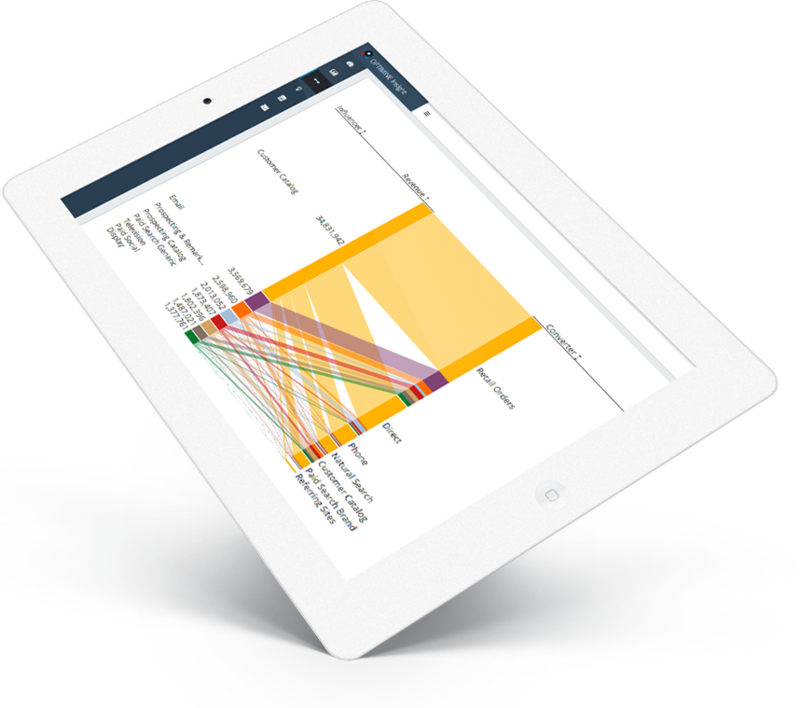 OptiMine Intent supports multiple plan versions to help teams run what-if scenarios and forecast potential outcomes in advance. Using machine learning, high scale cloud computing & genetic algorithms, OptiMine Intent leverages AI to discover and identify the best paths to performance improvement. After running hundreds of millions of simulations, trade-offs and optimization computations, OptiMine Intent delivers a fully optimized marketing plan & playbook with full spend guidance and recommendations to achieve your target. OptiMine Intent is the most agile approach to marketing & media planning, optimization, forecasting and performance. Contact OptiMine to learn more, or to set up a free platform demo. Or, skip to the front of the line and try OptiMine now for free.